Most people do Spring Cleaning in the Spring. I have to wait until I'm out for the summer. I've been working on cleaning up my office. My office consists of a 4 foot fold out table with various necessities on it (light, portable shelf, writing utensils, basket with paperclips, etc). To the left of my table/desk is a 3 foot space. Against that wall is a bookcase that is approximately 2 feet wide and 6 feet tall. To the right of my table there is a 4 foot space. Against that wall is another book case that is approximately 4 feet wide by 4 feet tall. I collect books, notebooks, etc. I decided when school was out that I would go through my book cases and get rid of what I didn't need. For books that meant those that everyone in the house had read and couldn't go on my shelves at school. That process took me two days as I made sure I had also posted reviews for them on my blog. We took three boxes of books to Goodwill. One box was from the bookcase in my mother's bedroom. She also purged her books. The next item would take me almost a week. Since I have a massive amount of notebooks of all varieties I had to go through and purge them. I started with my composition notebooks and then moved on to my spiral notebooks. I bring home tons of composition notebooks every year. If students leave them in my room then I cut out the pages they wrote on and bring the rest of them home. If there are only a few pages (which is what I hope for, because that means they actually used it the way they were supposed to in my class), then I cut the remaining pages out and put them in an envelope style folder. These make great pages for grand kids or for note taking. Next comes the spiral notebooks. This will eventually be followed by my binders. Yes I have a collection of them as well, thirteen to be exact. Some of them have writing courses in them (3). Some of them have arts and craft ideas and patterns. Some have other types of writing, bits and pieces I have collected. I purge them every year. If I haven't used the idea or I have the same idea in multiple places I get rid of them. While going through my spiral notebooks I started finding little gems. I am really bad about skipping multiple pages to write a book review. Unfortunately life gets in the way and I forget I wrote it and it goes unpublished. I found nine unpublished reviews of books by Jerry Eicher. So I am going to post the first three here today. I will post three more tomorrow, and the last three on Sunday. They weren't the only ones I found. I will be sprinkling them through the next month along with books I continue to read. I am continuing my reading challenge through the month of July to try to catch up on the books that authors have sent me and I got behind on. There are other's that are not on the list. See I also have to purge my email list. I go through my "Books to Review" Folder and delete books I've reviewed and forgot to delete the email, and then mark down the ones I still need to review. I know my list will grow longer. If you want to see my 'Summer Reading Plans" list just go here. Without further ado here are my review for today, his Fields of Home Series. Source: I received copies from Harvest House to facilitate my reviews. The opinions expressed here are my own. I've read several books by this author and think he is one of the best Amish Fiction Authors out there. That might be because he was raised Amish. This is why his books ring true. 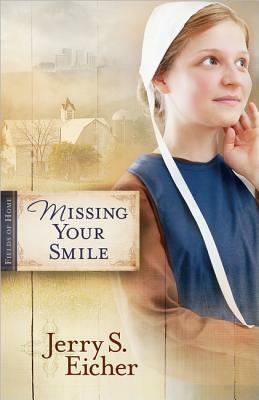 In this story we have a young Amish girl, Susan Hostetler, who has decided to become English. Her reasons are simple. She was to marry Thomas Stoll, until she caught him kissing her best friend. She runs off to New Jersey where she gets a job working in a bakery and living above it. She is trying hard to blend both of her worlds. 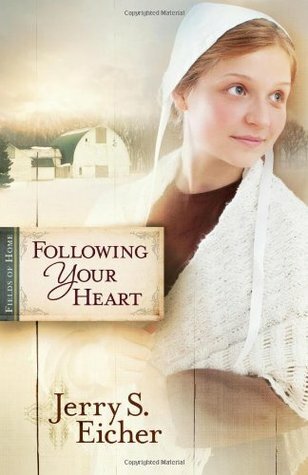 She is trying to stay true to her faith and the values she has learned growing up Amish, yet blend in with her new English world. She loves working for Laura and her son Robby. Robby is good at listening to her and she is good for trying to straighten him out. When a young unmarried pregnant girl named Teresa comes into the bakery, Susan's new life runs into her old life. Teresa has not had the best home life and she wants her baby to have a chance in life. To her that means she having her baby adopted by an Amish couple. Since the only Amish person she knows it Susan, she asks for her help. Susan agrees to help her. One of the things that irritate me was that Teresa's boyfriend wants nothing to do with her until she gets rid of the baby. I wanted to smack Teresa upside the head and scream at her, do you realize that he is a piece of garbage if he feels this way? Susan takes Teresa back to Indiana with her. Even though her parents are kind and caring to Teresa, that doesn't mean the rest of the community will be. This is a well thought out book. The conflict is real. You don't have to be Amish to have similar conflicts. The ending makes you pine for the next one in the series. This is the second book in the series. 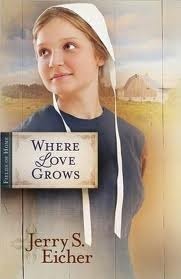 In this book Susan takes Teresa and her son Samuel back home with her where Susan's parents welcome her. Unfortunately not does. The Deacon has forbid her to attend the church. I think this more than anything else ticked me off. You want to bring people to God but you aren't part of our church so find God somewhere else. That is how I felt about the Deacon. I found it aggravating that Thomas would be so petty when he can't get Susan to come back to him that he would try to hook Teresa up with an older man who is willing to marry her for cleaning and cooking, not for love. I did love the fact that the Deacon's son is attracted to Teresa, even though it goes against his dad. Who and what will win out? You must read this book and find out. This is the final book in this series. What an excellent way to end the story. Teresa has found true love and someone to be a Godly father to her son Samuel. This fulfilled her wish to raise her son Amish. Susan on the other hand has given Thomas another chance. Once again he blows it. We learn he was more interested in Susan's father's farm than in Susan. This turns out okay because Susan is being pursued by another man. The question is will Susan allow herself the luxury of letting someone else into her heart. This book had another conflict that involved a secret that Susan's father had kept for a long time. No I'm not going to tell you what the secret is or how it is resolved. I suggest you read this entire series from beginning to end. Jerry writes realistic characters with realistic problems. We see that the Amish have some of the same kinds of problems we have. Often times we set them p on a pedestal and don't really see them as having the same faith based struggles that we do. However, this is not true. They struggle just like you and I do. So I highly recommend you read this series and I also recommend you come back tomorrow for another group of books by Jerry Eicher.